Comments: Broadleaf deciduous tree native to northern Europe. 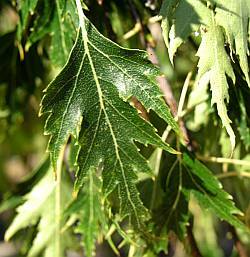 Light green deeply incised ovate leaves with serrated edges, light gray to white bark on trunk and large branches. New branches are pendulous. 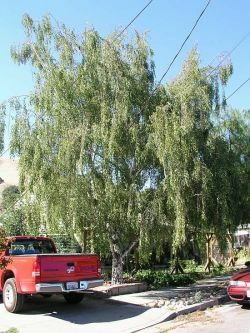 Specimen is 30 to 40 foot tall.